Sharper detail, vivid colour and improved washability for light and white garments. 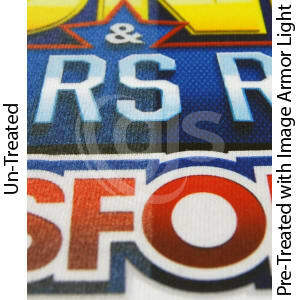 Image Armor Light pre-treatment formula creates a whole new dynamic for DTG printing, providing multiple printing options, all with incredible results. 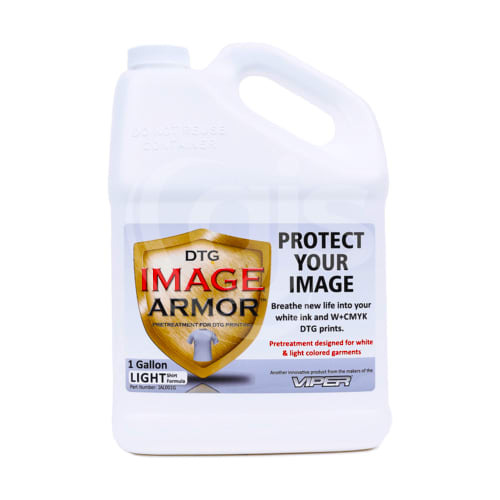 Designed for pre-treatment of white and light coloured garments in preparation for direct-to-garment (DTG) printing, Image Armor Light provides unparalleled image quality, sharpness, vibrancy and wash durability when printing single pass CMYK designs, compared with un-treated garments. Avoid pretreatment staining and scorching of light coloured garment. Avoid crystallization of pretreatment after pressing. Increase vibrancy, detail and wash fastness of white and light coloured 50/50 shirts, 100% cotton garments, and white 100% polyester textiles. 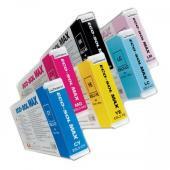 Suitable for use with CMYK only or white+CMYK printing. Mixed 1 part pre-treatment to 3 parts distilled water. Therefore 1 US Gallon bottle will make 4 Gallons of pre-treatment (15.1L).